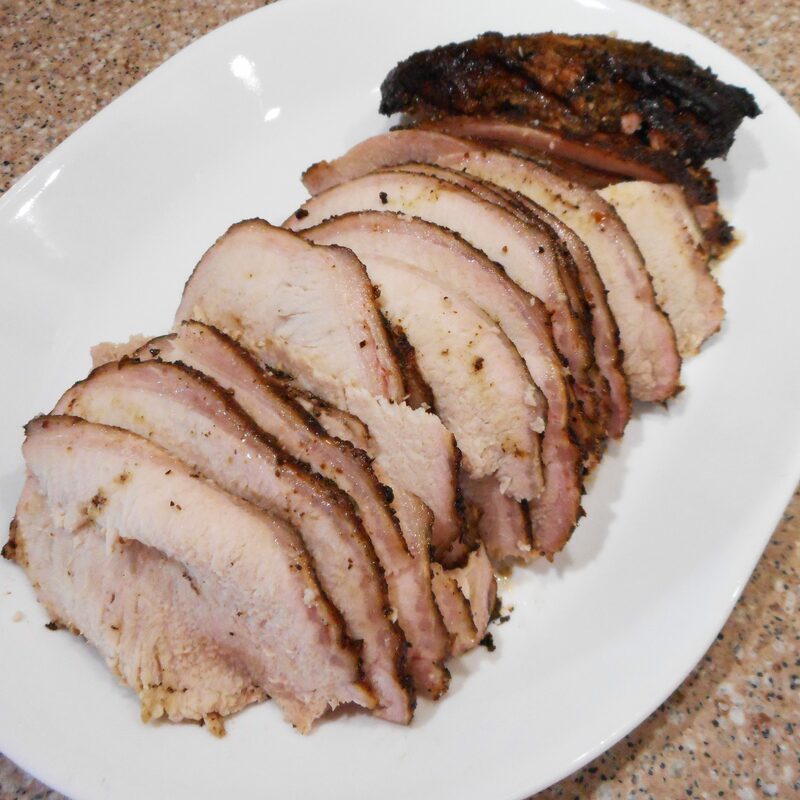 My favorite way to prepare this pork loin roast is to smoke it on our Big Green Egg, but it’s not always possible to do that. In the winter, roast it in the oven, and if you’ll be gone all day, just brown it, then pop it in a slow cooker, baste it with some of the basting sauce, and let it go on low. When you get home, baste it again before taking it out to serve. You really can’t go wrong. 1. Combine the garlic salt, garlic-pepper and lemon-pepper and rub all over the roast. Insert a probe type thermometer. 2. In a large saucepan, combine the basting sauce ingredients. Bring to a boil then reduce the heat. Simmer, uncovered, for 10 minutes. 3. If smoking, prepare the smoker and heat to 325°. Place the roast directly on the grill, fat side up. Smoke, basting occasionally, until the roast reaches 155°, about 2 hours. 4. If baking in the oven, place on a rack in a shallow roasting pan, fat side up. Bake, uncovered, at 325°, basting occasionally, until the thermometer reads 155°, about 2 hours. 5. Let roast stand 10 minutes before slicing.